In 2011, puppeteers from Germany, France, Thailand, Myanmar and Cambodia created a collaborative piece in Chiang Mai/Thailand. Swedish photographer Anders Jiras followed this unique exchange project, which was jointly comissioned by Goethe-Institut and Institute Francais in the framework of the "Elysee Fund". 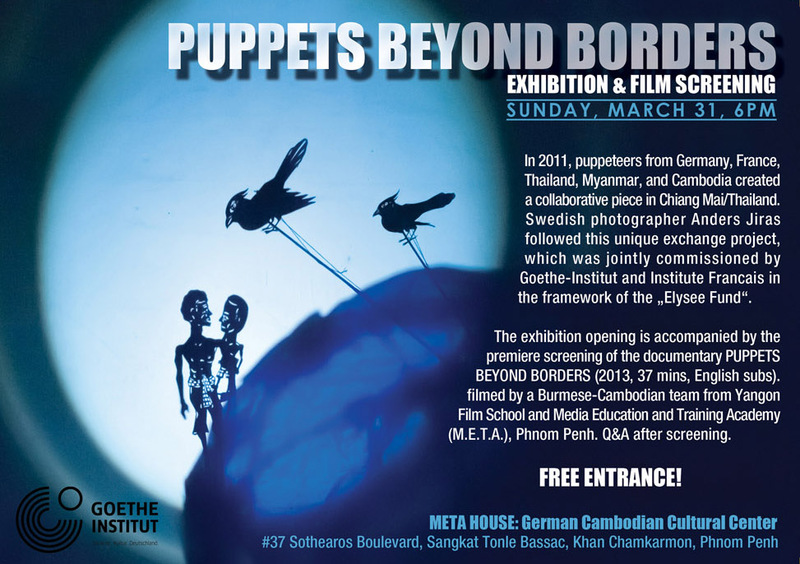 The exhibition opening is accompanied bythe premiere screening of the documentary PUPPETS BEYOND BORDERS (2013, 37 mins. English subs) filmed by a Burmese-Cambodian team from Yangon Folm School and Media Education and Training Academy (M.E.T.A. ), Phnom Penh. Q&A after screening.